Artisanal, grass roots and craft. In past seasons, designers and fashion houses have used these words—some quite loosely—as a point of reference for their design directions. It is indication of a growing appreciation for items that tell a story and celebrate masterpieces crafted by hand. It reflects the new fashion consumer’s mind frame that now looks beyond aesthetics. Today, there is a movement within fashion gravitating towards labels and products that honor centuries-old traditions, craftsmanship and history. And Manila is one destination where all this is flourishing. Fashion in the Philippines has been integrating more local elements in past seasons. And where Filipino-inspired garments are concerned, Filip +Inna is a forerunner. The label was focused on home décor before branching out to fashion in 2008. It was a business decision that would later define ethical fashion in the Philippines. 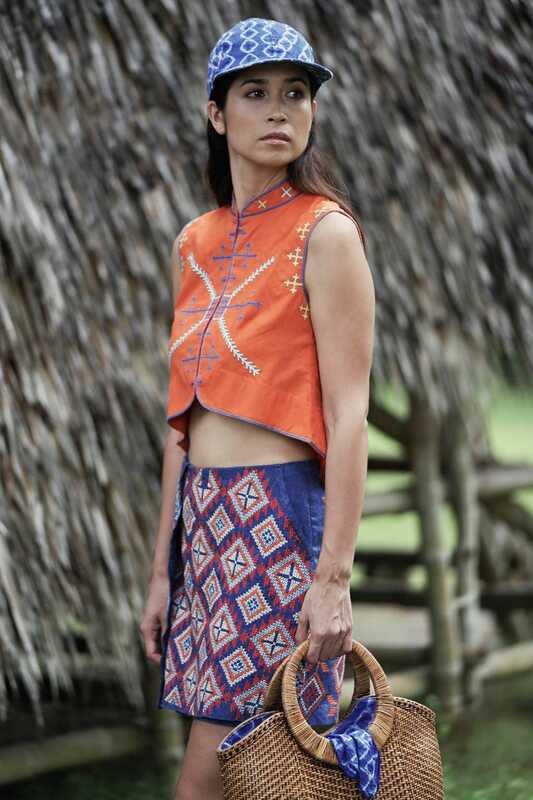 Its founder, Len Cabili, does not merely take inspiration from tribal craft and embroidery. She works alongside tribal artisans from conception of design down to actual embroidery. They are considered by Cabili as partners in the process. She also insists that they are proprietors of the designs. Classic pieces like vests, jackets, shirt dresses or skirts are infused with patterns, texture and colors from Philippine tribes. They connect wearers to various aspect of Philippine life. They are also fashion keepsakes that immortalize the artistic vision of tribal artisans through garments. To read the original article in full, please visit Forbes.com.